The University of Nicosia Medical School recently hosted the bi-annual meeting of the International Medical Educators eXchange programme, IMEX. IMEX is an initiative between medical schools in Europe and Canada. The aim is to provide an international orientation on medical education for senior faculty members of the medical schools involved: Utrecht in Netherlands, McGill and Dalhousie in Canada, Karolinska in Sweden, Leeds in the UK, and the University of Nicosia in Cyprus. During the visits, participating educators attend the medical training of the host medical school, take part in discussions on medical issues, and discover the strengths and challenges of different educational systems. They plan joint research activities and promote actions to further develop medical education through the exchange of experiences. During the meeting at the University of Nicosia Medical School, the participants had the opportunity to observe innovative methods of teaching such as Problem Based Learning (PBL) and modern types of examining skills like Objective Structured Clinical Examinations (OSCEs). 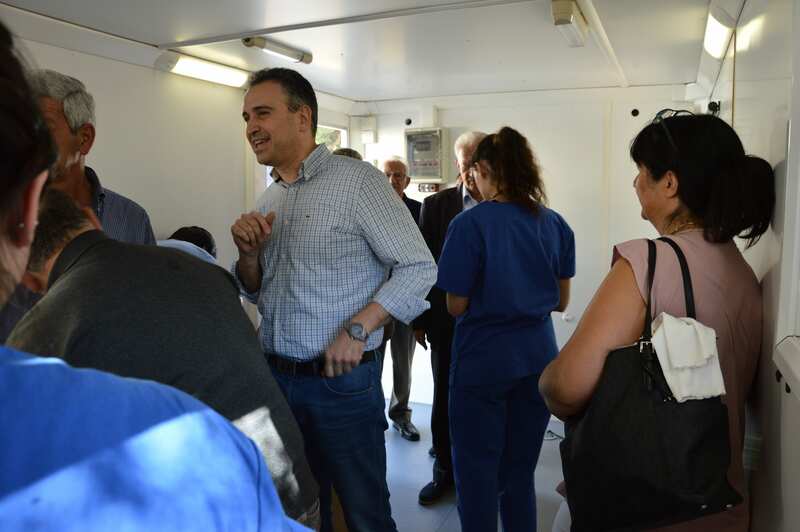 They also participated in one of the School’s community outreach activities by joining the mobile clinic expedition to Kakopetria village where medical students provided free diagnostic tests to the local population under the supervision of their clinical faculty. At the closing session, the week-long activities of the IMEX visit were summarised and evaluated and the participants prepared a preliminary action plan for the next meeting.